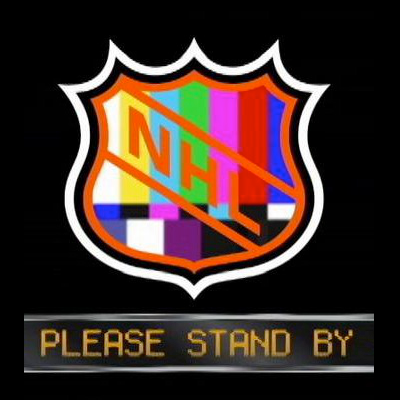 On January 19th, 2013, the NHL began a half-year schedule featuring 48 games, ending a very messy lover's quarrel between league owners and the NHLPA. Words like Collective Bargaining Agreement and Memorandum of Understanding were buzzwords of the day. Hop in your DeLorean and fast forward back to today. The Penguins are 48 games into the 2013-2014 season, so let's take a look at how these two "half seasons" compare. The numbers are impressive and almost mirror each other with their lockout record at 36-12 and this season's record at 34-12-2. That's consistent and all the more impressive with the spate of injuries the team has suffered this season. Last year, the Pens scored 165 goals and let in 119. This year, the lamp has been lit 156 times and they have allowed 115. That the team has scored a little less and allowed a little less is not surprising, as those same injuries have forced the Pens to focus a more on defense. Once again, Sidney Crosby is leading the way. After losing games last season to a fractured jaw, he posted 15G-41A-56P in 36 games played. This year, he has remained healthy and the stats reflect that, with him scoring 25G-43A-68P over the full slate of 48. Chris Kunitz has kept his numbers similar from season to season, going 22G-30A-52P last year and 24G-25A-49P this year. That's consistency. Last season, Evgeni Malkin played in only 31 of those 48 games, posting 9G-24A-33P. Struggling to score goals, his numbers haven't improved much this year, with a stat line of 12G-35A-47P through 37 games. For someone who is counted on to stay healthy and score goals, it's surprising that Malkin has struggled somewhat to do both. After all, just watching him play would lead one to think that everything is fine. However, the stats do not lie. On the other hand, Jame Neal has exploded this season compared to last. During the lockout shortened season, Neal posted a 21G-15A-36P stat line over 40 games. This year, over only 27 games, he's scored 17G-19A-36P. That's the same number of points but in 13 less games. On the defensive side, Matt Niskanen has shown the most improvement, scoring 4G-10A-14P through 40 games while this year he has posted 6G-19A-25P through 48 games. The biggest drop off in play? That would be Kris Letang. Last season, he went 5G-33A-38P through 35 games. This year, his numbers are terrible at 9G-6A-15P though 29 games. That's only 6 less games, but 23 points down. As for in the net, Marc-Andre Fleury went 23-8 in 33 appearances last season. This year, he's had to play more because of Tomas Vokoun's blood clot, and he's responded with a record of 27-10-1 over 39 games. His goals against has dropped (2.39 to 2.26) and his save percentage has remained steady (9.16 to 9.17). Looking back at last season, it would seem that once again the Pens are a consistent bunch, but looking at the overall record could have told you that. However, it speaks volumes about how well the team has played during this injury-riddled season to have kept them that way.